As an additional cost to play Undergrowth, you may pay 2R. Prevent all combat damage that would be dealt this turn. 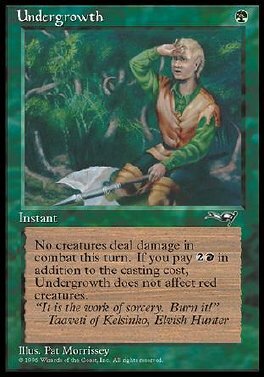 If its additional cost was paid, Undergrowth doesn't affect combat damage that would be dealt by red creatures.